PNB MetLife is a leading life insurance company which has consistently shown its commitment to delivering a truly customer centric experience through its innovative products and services. 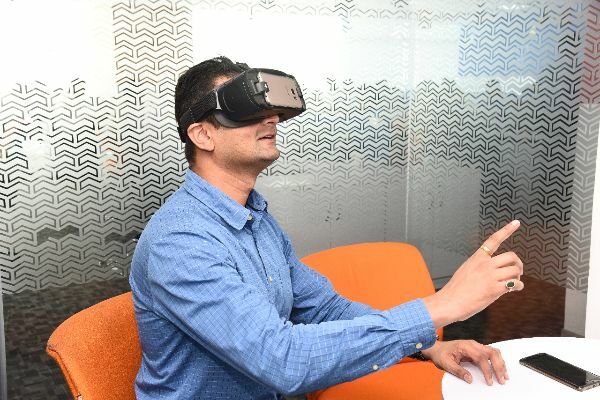 Once again taking the lead in bringing in the latest technologies to offer to its large number of customers, PNB MetLife recently launched conVRse, a first-of- its-kind virtual reality (VR) based customer services platform. Built in collaboration between MetLife’s Singapore based incubation hub Lumen Lab and PNB MetLife in India, the company’s aim was to revolutionize customer service by offering a differentiated, engrossed and a personalized experience to its customers through its VR headsets available in 15 PNB MetLife branches across 10 cities. This is the first time an insurance company is making use of Virtual Reality to benefit the customers directly through superior experience and availability of experts. Fortunately, I got a chance to speak with PNB MetLife CIO, Mr. Samrat Das to better understand and experience their VR system. In this post I shall share my experience and give you more details on the mechanism and benefits of this first of its kind customer service in the country. Virtual Reality is definitely growing towards becoming the next significant digital interface. Gaming was the first industry to experience its vast potential and now other industries have seen the value of investment in VR. 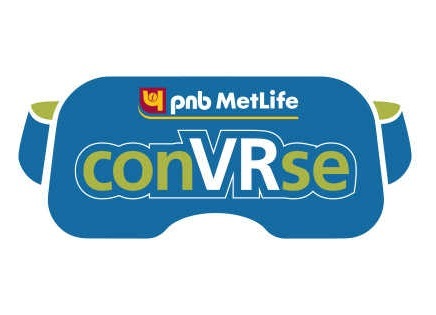 However, PNB MetLife is the first insurance company to explore the possibilities of enhancing consumer experience through their VR program “conVRrse” in the banking and finance sector. Currently launched on a small scale to get the user feedback, it is basically a mobile application based on Android which needs a VR headset to work. Initially, you need to fill up a small form before actually experiencing the VR app which happens via a VoIP call made using the same app. It is better if you put on your headphones to listen and speak with the customer executive. On wearing the headset, you will be transported to 3D simulated virtual room and interact face to face with a life insurance expert, a virtual avatar called “Khushi”. Khushi then directs you to a large screen displaying all policy-relevant data and services. From verification of personal information to change in policy details and images of documents all are operated by Khushi. Within the environment there are various panels that list all of PNB MetLife products and services. All of which can be further enlarged by focusing a grey dot found at the center of those panels. The life insurance expert – Khushi, then gives you a demo of all the servicing requirements present inside the room and how you can use it. The overall VR experience was smooth and worked without any glitches. Simplicity at its best, all you need is a dedicated high-speed internet connection to experience the PNB Metlife world. As of now, this service is in its first phase and can only be used when you visit one of the selected branches – Delhi, Mumbai, Hyderabad, Bengaluru, Kolkata, Jammu, Chandigarh, Lucknow, Ahmedabad and Pune. Furthermore, PNB MetLife plans to expand this platform in a phased manner and further explore to set up independent converse kiosks with their Bank partner ATMs and equip their sales teams with VR devices to provide anytime access to their customers. It was an immersive and personalized experience especially keeping in mind that I was looking at financial products and services. It was easy to mistake the VR customer executive for an AI when it’s actually a person on call. PNB Metlife definitely needs to integrate artificial intelligence in the future to expand and elevate this feature on a large scale. Going ahead, company also plans to leverage the conVRse platform in broader context to spread insurance awareness, drive experiential learning, share interactive product information and develop it into a sales platform. Able to place requests related to Address, Mobile/Email, premium mode, policy loan, fund switch, bank account, standing instructions etc. Considering that the level of insurance literacy is low in India, where most of the consumers think of insurance only as an investment or tax saving tool. I personally feel that using VR in BFSI will only help people like me, who are not aware of the financial sector to understand finances better. Additionally, VR makes everything so much fun to use and adds a very personalized touch to it. The whole process is really simple. There’s no waiting on the IVR but just walk into PNB MetLife’s branch closer to you, put on the VR headset and engage directly with experts. In the next phase, they also plan to embed the conVRse application with informative videos and help customers understand what life and health insurance can do for us and educate on its multiple benefits. It would really be convenient once we start using these services directly at home. Departed are the traditional ways in which we used to do banking and insurance, it is time to digitalize everything. Let me know your thoughts of introducing VR in the BFSI sector through the comments below.